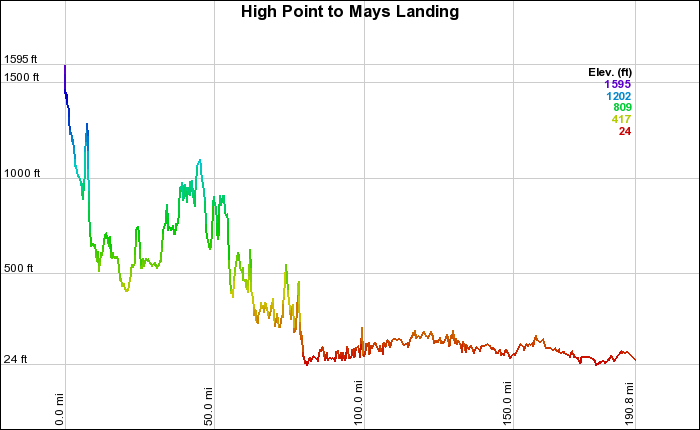 NJ DOT will be opening up the High Point to Cape May Bike Route by making the map and cue sheet available next month. The map will include accommodations, food, bike shops and transit access among other services. Long term plans for the 240 mile route include signing the route as well as engineering improvements such as shoulder widening and drainage grates. 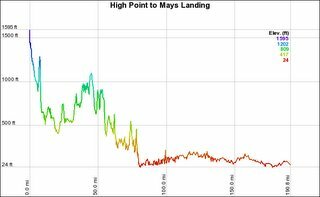 If you have a copy of Google Earth (earth.google.com) you can click on the High_Point-Mays_Landing.kml and the route should open up in Google Earth. A map for the southern section to Cape May should be available in the next few days.